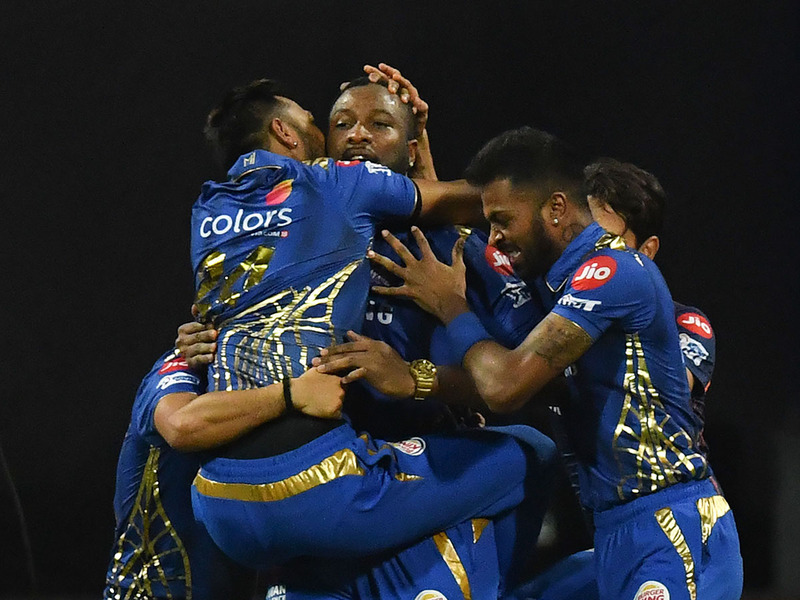 Mumbai: West Indies batsman Kieron Pollard smashed 83 off 31 deliveries to power Mumbai Indians to a thrilling three-wicket win over Kings XI Punjab in the Indian Premier League on Wednesday. Pollard’s blitz helped hosts Mumbai chase down their target of 198 on the final ball of the match and overshadow Punjab batsman KL Rahul’s maiden century in the Twenty20 tournament. Pollard lifted his side from 62-3 after nine overs to single-handedly revive Mumbai’s hopes. His 54-run seventh wicket stand with Joseph stood out. “I went up the order because I enjoy batting at Wankhede (Stadium)... (It) was a difficult pitch to bowl on and good to bat on,” said Pollard, who hit three fours and 10 sixes. “We did well with the ball after the start they got. We did pull things back in the middle overs a bit but lost the plot at the end. “Again, can’t be harsh on the bowlers. We finished on the right end of the result and thanks to God for that too,” he added. Rahul’s innings came at an opportune time for the opener with the Indian selectors scheduled to announce the team for the 50-over showpiece event on Monday. Rahul, who has two international T20 hundreds, put on 116 runs with opening partner Chris Gayle, who hit 63 of 36 deliveries to lay the foundation of their team’s 197-4. “I like him as a batsman. He has got great technique, he has got a lot of style,” West Indian batting great Brian Lara said on Star Sports. But Rahul had other ideas as he launched an assault in the final three overs that got Punjab 54 runs, including 25 from Pandya’s penultimate over. He is only the fourth batsman this IPL season so far to score a hundred after Sanju Samson of India, England’s Jonny Bairstow and Australian David Warner.